Matthew Richardson is one of the greats of the modern game. As a guest speaker, ‘Richo’ reflects on his career and shares his passion while motivating the audience. One of the Richmond Football Club’s greatest players and favourite sons, Richardson led the Tiger’s goalkicking 13 times, was selected as an All-Australian three times and won a club best and fairest. Richardson was a powerful marking player who was quick off the lead and had an excellent work rate and aerobic capacity. He played 282 games for the club and left nothing on the field. A loyal Tiger through and through, he would become one of the fan’s most beloved players. Richardson was always entertaining and truly a player that fans would pay their money to see. 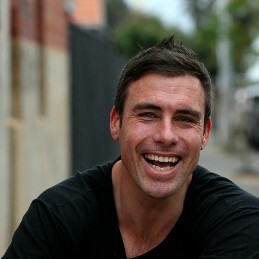 Richardson retired in 2010, soon joining Channel Seven’s AFL commentary team. He began as a boundary rider but has since progressed into the commentary box providing special comments on Friday and Saturday night broadcasts. In 2014 Richardson was inducted into the AFL Hall of Fame. Richardson appears on Seven News Melbourne with Sandy Roberts, previewing all the action of the coming round. He is also a frequent panelist on Channel Seven’s Game Day and also a part of the 3AW radio commentary team.